An inviting free-form outdoor elegant styled swimming pool overlooking a picturesque and artistically landscaped tropical garden accords an alternative recreational option, offering a conducive setting for ultimate relaxation and sun-bathing. It’s located in 2nd Floor and opens at 7 am – 7 pm. Get in a workout before your day begins in Jakarta, or at any time of night. 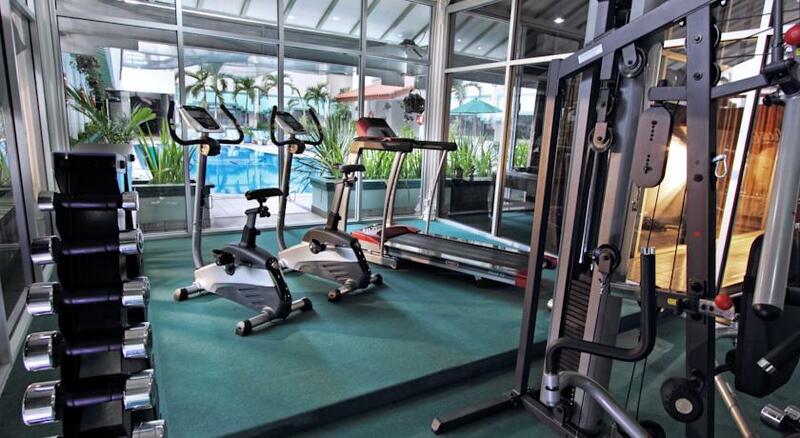 Fitness Club Kartika Chandra is equipped with spacious and comfortable gym and modern facilities, and also features cardiovascular and weight-training equipment. A personal trainer is available by appointment. Let the atmosphere inspire your workout. Afterwards, soo the tired muscles in either the whirlpool or the sauna. Located adjacent to swimming pool (2nd floor) and opens at 7 am until 7 pm.